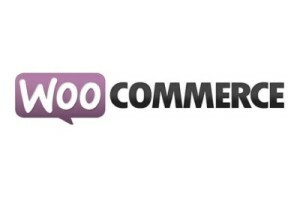 Woocommerce is a free, powerful e-commerce system designed for WordPress by Woothemes. This e-commerce plugin is very popular for WordPress. Woocommerce is an open source system, with thousands of plugins, tons of themes, and many different payment gateways that can be used. Products – Woocommerce allows you to easily control the products on your site, you can add products, variations and different pictures for your products. You can add related products, and products have social sharing built in. Coupons – The system allows for a wide variety of Coupons that can be configured for the various products, offering a -discount on the products in the online store. Shipping– There are a wide variety of shipping options including Flat Rate Shipping, Free Shipping, International Shipping and local shipping. Shipping options are very flexible allowing for detailed control of shipping rules and rates. Payment Gateways – This plugin supports hundreds of payment gateways and provides a variety of options including redirect vs direct, currency support for a number of different countries, SSL certificate support. Dashboard and Widgets – The system includes dashboards and widgets to monitor sales and performance. Installing Woocomerce is fairly simple and involves finding the plugin and clicking install now. Uninstalling is almost as straightforward, by simply deactivating the plugin. All data can also be removed. The checkout is a one page checkout process that improves conversions. Woocomerce is open source and includes hundreds of extensions to improve the plugin as well as themes. When considering a theme for Woocommerce, one should consider what it might take to replace the theme if one wants to change the theme down the road. Themes that are lightweight and don’t use a lot of addons are preferable. Woocommerce uses a concept called endpoints basically controlling how various administrative pages are used, you can create your own custom URL with these to specify where admin pages are. In summary Woocommerce is a strong platform to get you selling online and is second to none. If you are looking at e-commerce, you should also check out this article as well that we have regarding Paypal, which might be an alternative for your needs: https://visualthinkers.ca/e-commerce-paypal-integration-with-website-payments-standard/. Or if you are ready to get started and are convinced this is the perfect option for your needs reach out to us today!